The drought situation in the Horn of Africa region is deteriorating by the minute. If the international community continues to ignore these dramatic developments, the ongoing crisis could evolve into a full-blown famine. Experts estimate that around $1.4 billion in food aid and assistance are needed to alleviate the suffering of drought-affected populations. Part of the explanation for the food crisis being virtually non-existent in local and Western media coverage is that some countries, in particular Ethiopia, are deliberately silencing reports from groups which are worst affected by the current situation, such as the people of Ogaden and Oromia. 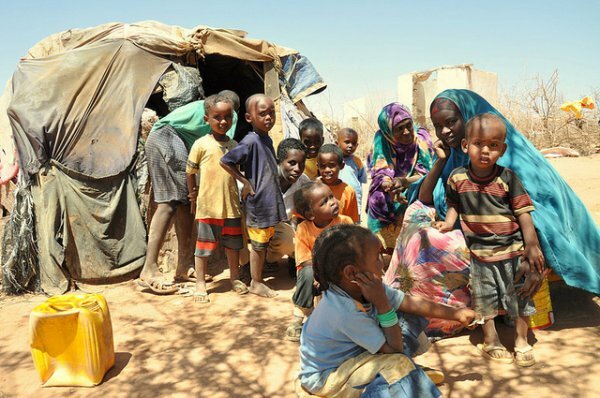 The semi-autonomous northeastern Somali region of Puntland was the hardest hit in 2011 with the drought, but that region was able to prevent a crisis, in comparison to south-central Somalia where people were internally displaced as a result of Ethiopia's invasion. Perhaps the Somali government should look to Puntland for some preventive measures or strategies. The Ethiopian government has delayed its response to the drought in efforts to showcase its economic resiliency — in part because is has one of Africa’s fastest growing economies. The Ethiopian government has also resorted to silencing oppressed populations that inhabit regions heavily affected by the drought, such as Oromia and Ogaden, where humanitarian aid is blocked or diverted, in its quest for power.